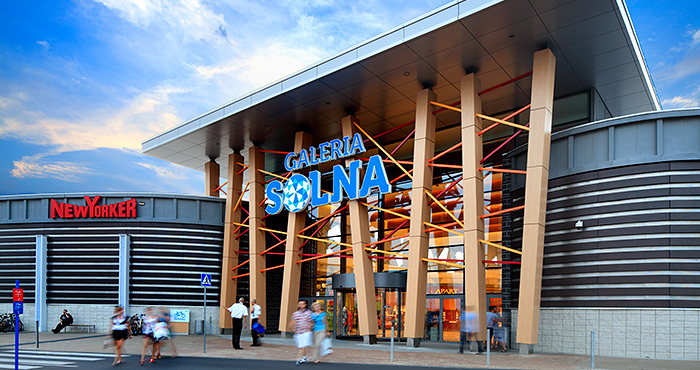 Galeria Solna in Inowroclaw experienced an excellent 2016 with over 4 million vistors (4,062,345), for the first time in the center’s history exceeding the 4 million mark. The Operational Cost ratio as expression of the combined rent, marketing costs and service charges as % of the tenants turnovers decreased to below 12% (11.7%). The occupancy of the 23,648 sqm Gross Lettbale Area shopping center stood at 99.44% at year end. In the beginning of 2016 the former NOMI Do It Yourself box was sold to Leroy Merlin and following an extensive reconstruction the new Leroy Merlin opened on September 9. The regular visitors of Galeria Solna welcomed the DIY and the footfall of the shopping center slightly increased. The opening of a very large new shopping center in Bydgoszcz had no efect on the footfall.